It's a sad day for both Darna and Liza Soberano fans today. ABS-CBN and Star Cinema have just released a press statement, announcing that Liza will, unfortunately, be withdrawing from the movie project. According to the official statement, Liza had to bid farewell to the role due to an injury. In 2018, she fractured her index finger bone while filming fantasy series Bagani. To this day, she continues to receive medical treatment for the injury. She has had two surgeries already, one involving plates just to hold the bones together. "I fractured my right index finger, as in nadurog po 'yung buto, the top part and the bottom and also my joint so 'di ko po siya nagagalaw," Liza shared in an interview. "Alam ko na daliri lang po siya. It's not normal, my other fingers meron po siyang pakiramdam, but it's not the same as it was before." Despite having an injured finger, Liza continued to do some training after, hoping the bone would heal, even after surgery in November. She also noticed that her grip was no longer the same. "I had to wear wrist braces to help me lift those heavy weights," Liza shared. "And parang I couldn't do my stunt [training] because we had to take care of the finger. Of course, we were still hoping that we would be able to do the project pero because of the injury I couldn't do my stunts. So how would I be able to practice and ready myself as well?" 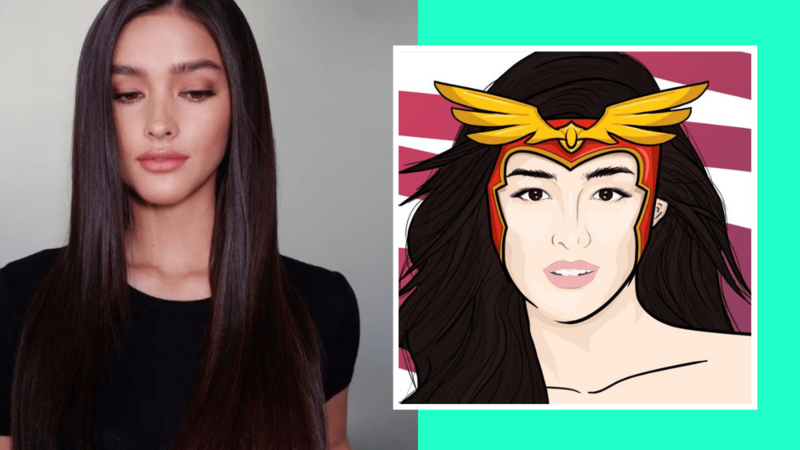 It was a very difficult decision for Liza who had invested a lot of time and effort in the role, but she didn't want the project to suffer because she felt she could no longer give Darna the justice it deserves. "I felt like 'di ako buo anymore to do Darna because I was scared na parang I wouldn't look as good doing my stunts because of the way my finger looks," Liza added. She also shared how uncertain she was that she would be even able to do a fist like before. The worst part of the interview is seeing Liza break into tears when asked what her message is to fans, who would, of course, be heartbroken about the news. "I just want to say sorry for them that I let them down," she managed to say before crying and requesting to stop the interview. In 2017, rumors circulated that Liza would be playing the titular role and replacing Angel Locsin in the reboot. Shortly thereafter, the news was out. In 2018, the teaser had fans excited, revealing a glimpse of Liza's Darna costume. Some fans, though, wanted to see changes in the attire. Recently, Liza clapped back at a netizen for telling her to end her holiday and get back to work on Darna. She was recently in Bali to celebrate boyfriend Enrique Gil's birthday.